Summer, the three months of utter fun and madness. The time you break free from the monotony and enjoy life to the fullest. Be it venturing into new places or trying something new. This year I travelled to Paris, Switzerland, Mumbai and Mangalore along with my cousin and of course my family. I was thrilled to the bone. I just couldn’t wait for the 21st of June- the day we set out towards our destination. Upon reaching on the 22nd to Paris we immediately drove towards the world famous Eiffel tower. During the ride, we saw the flame of liberty, in memory of Princess Diana who lost her life in Paris. Finally we reached the Eiffel tower. It was a magnificent structure. There were three levels to it. The building was intricately beautiful. It truly highlighted beauty in simplicity. We went up to the second floor in a wide spaced elevator that could fit a hundred people at a time! and were bewitched by the charm that beheld us. The entire city of Paris was right in front of our eyes and we couldn’t help but stare. After enjoying some hotdogs we went on to explore the marvelous city filled with heritage. 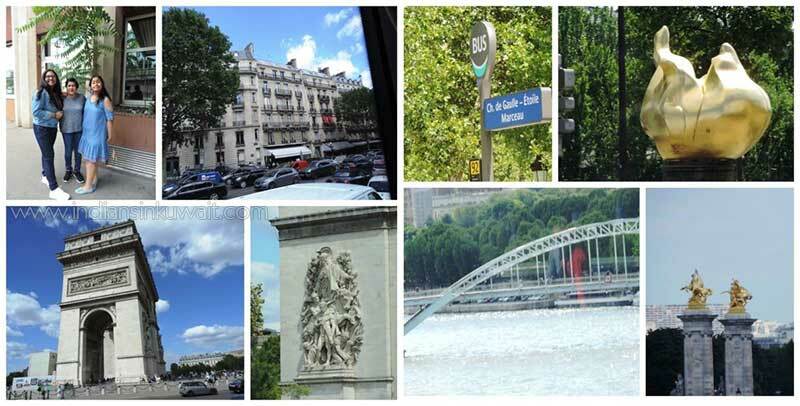 We went about the l’arc de triomphe, le musee de Louvre, la scare Coeur and even strolled down the champs- elysees. Shortly after this we went on a cruise which travelled the down the river Seine and gave us a sort of city tour. The water is a mirror in which the city finds its own reflection. For centuries, poets, painters, philosophers, novelists, architects, lovers, suicides, and finally, tourists, have understood this powerful attraction. The river Seine flows right through the heart of Paris. It was no accident that the city evolved around this gigantic avenue. Did you know that Paris has the most pharmacies? It was a chilly but unforgettable night. On our way back to the hotel we were extremely privileged to see the Eiffel tower all lit and fairy lights dazzling the monument. The next morning we set out to satisfy our inner child- we headed towards Disneyland. Disneyland is heaven on earth- with music in the air and sweet wind through your hair. My cousin and I- being the daredevils we are went aboard some of the most spine tickling rides in the place. We also witnessed a princess fairytale show. I fell in love with the city of love. We moved onto Switzerland by road. It was a long journey which lasted for 7 hours. It was feast for the eyes- even though we were just taking a birds view of the city. Switzerland had a similar feel to city side Paris- with shops lining the long roads and the streets lined with low glowing street lights. We also saw some of the landmarks of the country. The United Nations headquarters in Geneva stood tall with the flags of all the countries affiliated with it flying high. We also saw the three legged chair in Geneva which stood against bombs and land mines. The failure of significant countries to sign the Treaty and the strong public support for the sculpture caused it to be left in place. There also stood a bronze statue of Gandhiji in Ariana Park. The statue is a gift from the Indian government to the city of Geneva, underscoring the role of Geneva in promoting peace, harmony and friendship, values closely associated with Gandhi. The gift also marks the starting point of the activities celebrating the 60th anniversary of the Treaty of Amity of Aug. 14, 1948 between India and Switzerland. Another iconic structure is the Jet d'Eau, literally meaning 'water jet', is the huge Fountain on the Geneva Lake, in the city of Geneva, Switzerland. Jet d'Eau is one of the tallest fountain in the world. It is a natural fountain that rises due to the suns position. The fountain became the symbol of strength, ambition and vitality of Geneva and Switzerland. Its strong engines pump 500 liters of water per second to the height of 140 meters.We then halted at the monument national. Upon disembarking the bus my cousin and I ran to get tickets for the Swiss wheel. Oh what a beauty was that! The lush blue waters just touched the shores. After the ride we stopped to eat some sweet scented cotton candy. Being the mother of high-end watchmaking. to pay tribute to this honor, Geneva created the biggest clock in the world, made from flowers. Geneva Flower Clock, named L'horloge fleurie in French, created in 1955, soon became world famous, one of the main attraction of the city. After a lovely day in Geneva we retired to our hotel room in Villars which offered a stunning view. The hotel overlooked the Alps. The pinkish hue of sunset merged with the blue skies while light streaks of orange added to the beauty of what looked like ice cream skies. The next morning we set out to Jungfrau- the highest point in Europe. We had to wear thick clothes due to the extreme weather conditions we would be facing. The road to Jungfrau was a very, very beautiful one indeed. The lush snow capped mountains stood tall amidst the bright blue lake which gently rippled over the rocks. The sun stood taller and strong in all its splendor. The road was lined with small shops selling souvenirs, snack, ice creams and winter wear. We took a cog wheel train which took us to the 4th station- our destination- the top of the peak. The train made us feel like we were a part of the snow clad landscape. Finally we reached the 4th station. It was a large building that housed a couple of cafeterias, souvenir shops and restaurants amidst the main touristic attractions we went through a tunnel. It was quite cold all through the tunnel. The elevator took us to the large viewing point which involved us standing over a transparent glass amidst the mountains at about 11,000 feet plus altitude. It was magnificent. Natures beauty witnessed at its fullest here. We then went to the ice palace in which we had to walk over the slippery ice while we saw beautiful ice carvings- each having a story of its own. Before the ice palace there was lane telling us about the story of how Jungfrau came into existence, alongside thanking those who made it possible. We further went to the plateau which was my favourite part. We played in the snow till our bodies were numb. It was absolutely breathtaking. Falling, laughing and just having a splendid time in the snow. We ended a day with a quick stop at the Lindt chocolatier where the process of making these delectable chocolates was broken down. It was difficult to take easy breaths due to the altitude at which we were nevertheless, it was a wonderful experience. We then went over to the town of Interlaken. The emerald coloured waters of Lake Thun and Lake Brienz contributed to the beauty of the wooden houses, mountain and dense forest views. 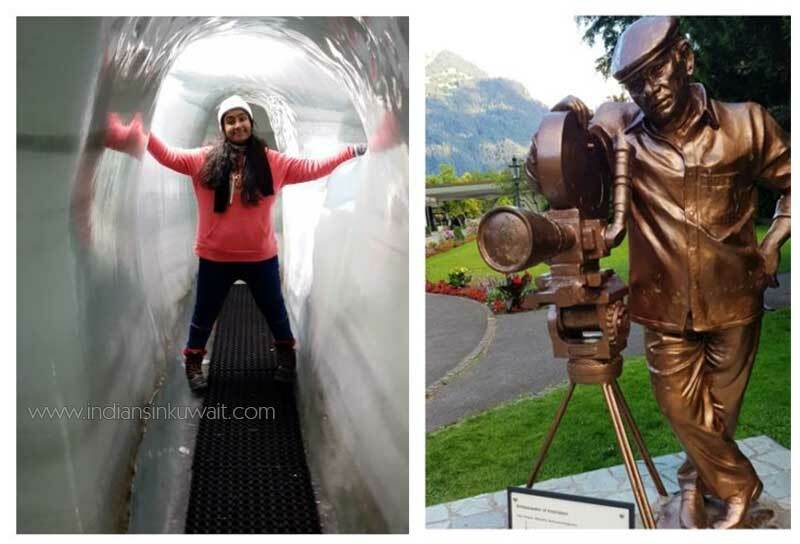 Yash Chopra- a famous director of Indian origin also has his staute in Interlaken. The film also sparked off India’s love affair with the Swiss Alps—with numerous Bollywood-themed and Yash Chopra tours being introduced in Switzerland in the last decade. There’s now even a Chopra Lake in Alpenrausch and a Chopra train run by Jungfrau Railways, both named after the film’s director Yash Chopra. We then returned to our hotel in the village of Villars which offered a beautiful view of the Alps. The next day we set out to Glacier 3000. We wore our warm winter apparel and set out. There were several adrenaline rush rides. A large cable car took us up. The journey was shaky but the view was breathtaking. Upon reaching our destination, we passed through a warm shop which led us to the snowy landscape where we had to take an open cable chair awaiting us that would lead us to the snow bus. The snow bus was a little ride of sort that took us through the bushels of snow. Once this was done, we played in the snow for a long time. Once we were content (and drenched to the core), we went back to where we had started from, via the open cable chair. We then went on another spine tickling ride which was, the alpine coaster. My dad maneuvered the coaster. We were riding at lightning speed which also made my dad’s beanie fly ha ha ha. The alpine coaster in glacier 3000 is thee higest in Europe! With its sharp turns and exhilarating speed, it indeed is a joy! We then went in and got a bit warmer alongside with grabbing a small snack. orm is the world’s first suspension bridge connecting two mountain peaks and is the 2nd highest suspension bridge in Europe. At an altitude of 9,800ft-high and 351ft-long the peak walk was scary as the bridge swayed with the wind, however we made it to the end of the bridge and back. This marked the end of our glacier 3000 excursion. However we went on to see the famous statue of the sleeping lion which was erected in memory of the last king of France in the battle against the people in which he lost. It is to be noted that a mere bus ride too gave us the prettiest of views- from rows of sunflowers to the lilac plants that complemented the beauty of the country. The next day we woke up early and went to Titisee, black forest in Germany. 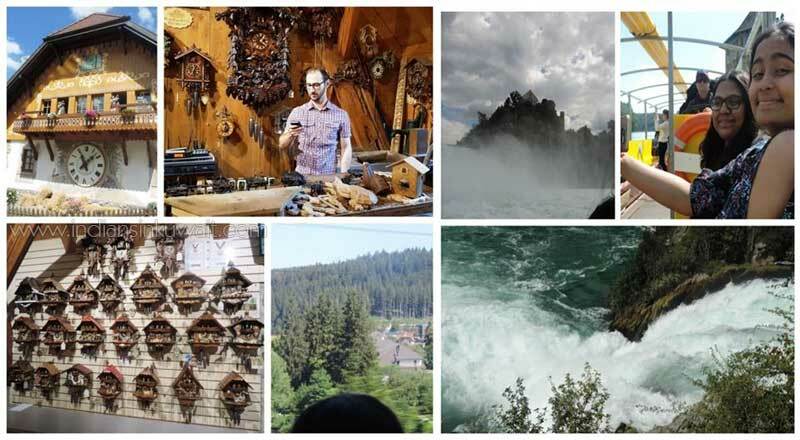 Here we saw the fine art of cuckoo clock making and the different designs throughout time. We even bought a cuckoo clock for ourselves! How could one leave from Titisee without tasting the Black forest cake? We even saw a huge cuckoo clock awaken the city with its sharp chirps and pretty dancing ladies. We then walked by the bundles of hay, passed through the countryside and drove to the largest waterfall in Europe between the cantons of Schaffhausen and Zürich, The Rhine falls. It’s a magnificent spectacle. Across a width of 150 meters (492 feet) and a height of 23 meters (75.5 feet), 600 m³ (21,189 cubic feet) of water plunge over the falls in the summer. An adventure path with elevator goes from Laufen Castle to the outlook platforms and enables an unobstructed view of this spectacle of nature. A boat ride to the Rhine Falls basin, the rocks in the middle of the Rhine and downstream to the national border or farther to the Rhein power plant is worthwhile. We did take the boat ride through the magnificent blue waters. The Rhine falls was an absolute beauty. The water was gushing down with full intensity. After the boat ride we walked up to the highest point where we were one with the the waterfalls. After spending a couple of moments on top we descended and went back to the shore via the boat. We also enjoyed some ice cream before bidding goodbye to the place. We left the country absolutely contented with our vacation of sorts. But this was just the beginning of another. We landed in India on the 1st of July. Upon picking up my grand mom and aunt from their house we went towards our house. The next 20 days was full of excitement, madness and fun. We went for movies, stayed up late night playing scrabble, football, basketball and cards, I learnt how to ride the bike, tasted almost all the flavours from my favourite ice cream parlour (especially their new I- pizza), made new friends, danced in the rain, ate ice cream for breakfast and enjoyed to the fullest. My cousin and I had a sleepover! During our stay we also visited Pilikula which now holds a bunch of attractions. We saw what the traditional lifestyles were back in the day and even visited a traditional house- Guthumane. 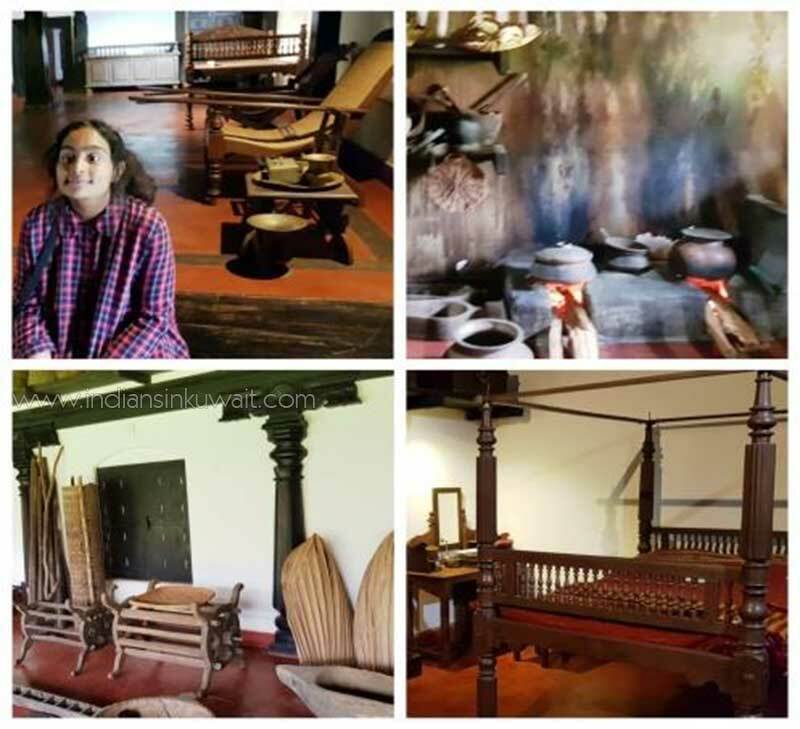 The Guthu House is the traditional manor house of the coastal landlordsThe design of the house is attractive and it is built on the model of Aya. Only traditional artisans who are well versed in this type of work are capable of building the Guthu House. The construction materials used primarily comprise of Hard Wood, Laterite and Clay. The woodwork comprising ceiling, doors/windows and intricately carved pillars are a tribute to the skill of the carpenters. We then visited the planetarium, drove round the zoo in a buggy and also saw the lake area. It was a day full of fun. We visited our grandparents, relatives and cousins throughout this holiday too. Finally, it was time to say goodbye on the 21st of July. I was quite sad but also prepped to start all my holiday homework before school started and the promise of visiting places in Kuwait. Yes! The month of August was spent in exploring the very country I live in. Once I was done with the schoolwork in the morning, we went out in the evenings and vice versa. We saw the very talked about mirror house which was truly a feast for the eye. The Only House in the World entirely covered with Mirror Mosaic by a single artist! The Mirror House, also called, The Khalifa & Lidia Qattan Art Museum, is the residence of the Pioneer Kuwaiti Artist, Khalifa Qattan, and his wife Lidia, both artists who have opened their house and art galleries to share their unique art with people from around the world. 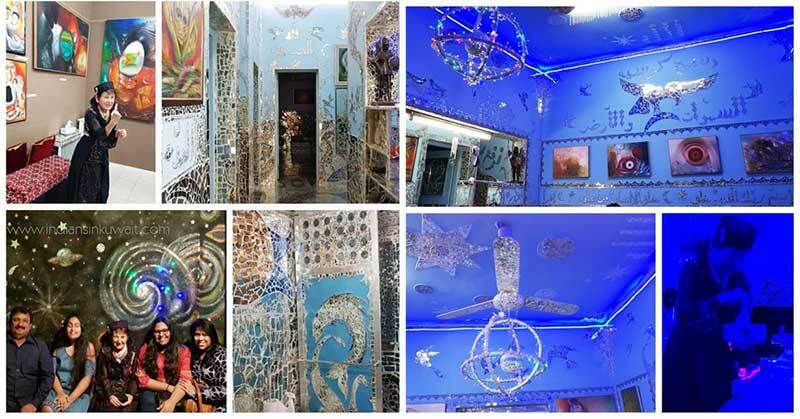 The artist and creator of the Mirror House, Lidia Qattan, gave us a personal tour of her magical house, which is in reality a wonderful journey of exploration. Her hospitality along with her daughter Jaleela was astounding. We were offered lovely homemade cake, biscuits and cold drinks. Another day, I went out with my cousins to the Sheikh Abdullah Al-Salem cultural center. The place is huge and puts forth information in a very creative and fun way. We spent a whole day there and finished exploring all the sectors of the place which were Technology, Space, Islamic arts, Human body and Ecosystem. We also went to the beach. The water was just too relaxing and inviting. It was indeed the best holiday ever. However summer ended in just a blink of an eye and I had to start prepping for school. Oh well, I guess too much of anything isn’t quite as enjoyable. Can’t wait for the next summer.